How does the election results affect the future of crofting law? 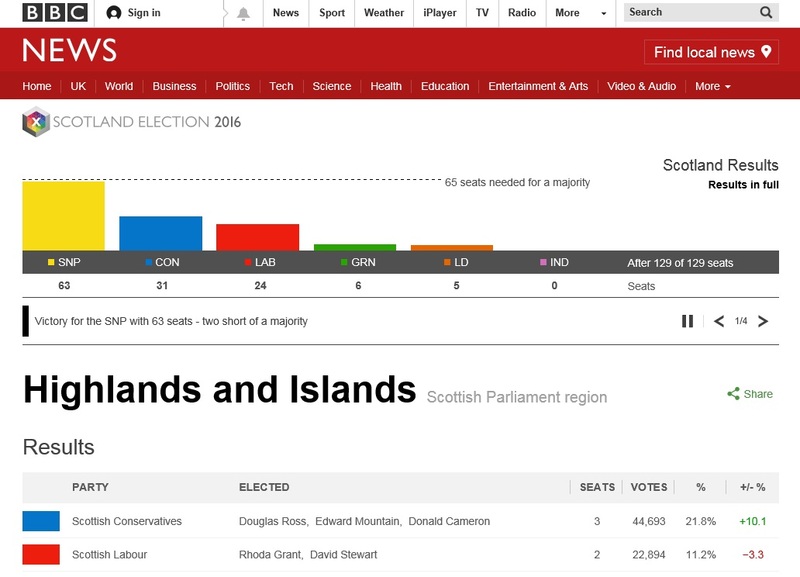 Today’s Scottish Parliamentary election results saw the SNP form a minority administration with 63 seats. The Scottish Conservatives came second and form the opposition with 31 seats. Scottish Labour were in third place with 24 seats followed by the Scottish Green Party on six and Scottish Liberal Democrats on five. What does this mean for the future of crofting law? Crofting plays a unique role in Scotland’s Highlands and Islands heritage, bringing distinct social, economic and environmental benefits to communities. We will continue to provide public support for the continuation of crofting and to secure thriving crofting communities. We will also introduce a new entrant’s scheme for crofting, explore the creation of new woodland crofts and publish a National Development Plan for Crofting. Croft housing grants have been increased and we will continue to target support at those most in need. We will also re-introduce the Croft House Loan Scheme. Crofters have long been concerned at overly complicated and outdated legislation so we will modernise crofting law and make it more transparent, understandable and workable in practice. We will also ensure new community landowners are not left out of pocket due to registering as the new landlord of crofts within their community owned estate. So there is a clear commitment to “modernise crofting law and make it more transparent, understandable and workable in practice”. This must mean a new Crofting Bill being introduced during the next parliamentary term. At the Crofting Law Group Conference in March there was clear cross-party agreement on the need for crofting law reform. So I can’t see any opposition to the introduction of a new Crofting Bill. The last Minister for Environment, Climate Change and Land Reform (with responsibility for crofting) was Dr Aileen McLeod MSP. She failed to win the Galloway and West Dumfries constituency seat and missed out on getting a South Scotland Regional seat in the list vote. So inevitably there will be a new Minister for Environment, Climate Change and Land Reform. Perhaps with a new Crofting Bill in the offing and the dreadful problems within the Crofting Commission that the new Minister has to tackle it is time for Nicola Sturgeon to appoint a dedicated Crofting Minister? Preferably one with a seat in the crofting counties. Who will be the political voices we will now hear speaking up for crofting law reform and investigation of the alleged abuse of power within the Crofting Commission? Gone from Holyrood are the strong voices on crofting that came from Jamie Mcgrigor (Conservative), Rob Gibson (SNP), Jean Urquhart (Independent) and Dave Thompson (SNP). We will also miss Alex Fergusson (Conservative) who thought that crofting law is a complete mystery but amused us with his analogy of ‘The Crofting Law Hydra‘. Returned to Holyrood are Tavish Scott (Liberal Democrat) and Rhoda Grant (Labour). Both of whom participated in Crofting Question Time at the Crofting Law Group Conference in March expressing strong views on the “mess” that is crofting law. I can’t see them holding back on the latest “mess” of ‘The Common Clearances‘. New to Holyrood are Donald Cameron (Conservative) and Andy Wightman (Green Party). Again they both participated in Crofting Question Time at the Crofting Law Group Conference. Donald Cameron said there that it was “time for crofting law to be for the crofters and not the lawyers”. I think that ‘The Common Clearances’ is a clear testament to that sentiment. Helping the SNP with the Crofting Bill, and routing out the alleged abuse of power at the Crofting Commission, must surely be all SNP MSPs within the crofting counties. Alasdair Allan (Western Isles) has already spoken out about ‘The Common Clearances’ with two ‘sacked’ grazings committees, that we know of, being within his constituency. Other SNP MSPs in the crofting counties include long time politician Michael Russell (Argyll and Bute) and newbie Kate Forbes (Skye, Lochaber and Badenoch), who I had the pleasure of discussing The Crofting Law Sump with at The Future of Crofting Conference in December. Maree Todd took the SNPs only Regional Seat in the Highlands & Islands so I would think she will take an active interest in crofting law which will affect many of her constituents. The first opportunity for the new MSPs to flex their muscles on crofting matters might be the Cross-Party Group on Crofting at Holyrood. Expect a large attendance. This entry was posted in Uncategorized and tagged Alex Fergusson, Alex Fergusson MSP, Andy Wightman, Andy Wightman MSP, CHGS, Croft House Loan Scheme, croft housing grants, crofters, crofting, Crofting Bill, Crofting Minister, Cross-Party Group on Crofting, Dave Thompson, Donald Cameron, Donald Cameron MSP, Dr Aileen McLeod MSP, Dr Alasdair Allan, Dr Alasdair Allan MSP, Higlands and Islands, Holyrood, Jamie Mcgrigor, Jamie McGrigor MSP, Jean Urquhart, Jean Urquhart MSP, Kate Forbes, Kate Forbes MSP, Maree Todd, Maree Todd MSP, Michael Russell, Michael Russell MSP, Minister for Environment Climate Change and Land Reform, Modernising Crofting, Rhoda Grant, Rhoda Grant MSP, Rob Gibson, Rob Gibson MSP, Scottish Conservatives, Scottish Green Party, Scottish Labour, Scottish Liberal Democrats, Scottish Parliament, Scottish Parliamentary Elections, SNP, SNP Manifesto, Tavish Scott, Tavish Scott MSP, woodland crofts on May 6, 2016 by Brian Inkster.